Plain Truth is a political pamphlet that Benjamin Franklin published in 1747 in order to try to persuade the Quaker dominated Pennsylvania Assembly to establish a military force to protect the colonists from incursions by the French, Spanish and Indians. The pamphlet was a success and after its publication Franklin was asked to help establish the military force, which he did. 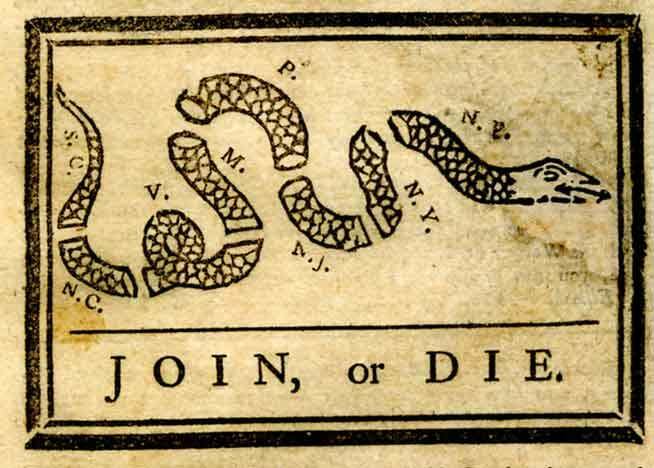 Plain Truth also included the first political cartoon seen in the colonies, featuring a snake cut into several pieces with the phrase "Join or Die," referring to the fact that the colonists must be united in their defense. 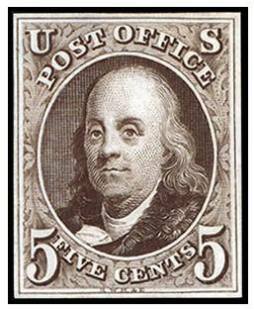 Go here for a list of interesting Facts about Benjamin Franklin. 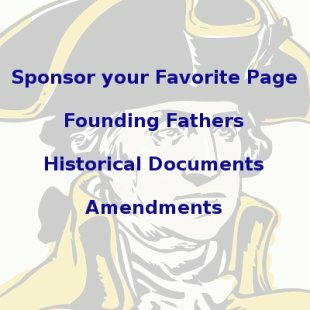 Go here for Ben Franklin Quotes. Plain Truth: or, Serious Considerations On the Present State of the City of Philadelphia, and Province of Pennsylvania. By a Tradesman of Philadelphia. Printed in the Year MDCCXLVII. It is said the wise Italians make this proverbial Remark on our Nation, viz. The English feel, but they do not see. That is, they are sensible of Inconveniencies when they are present, but do not take sufficient Care to prevent them: Their natural Courage makes them too little apprehensive of Danger, so that they are often surpriz'd by it, unprovided of the proper Means of Security. When 'tis too late they are sensible of their Imprudence: After great Fires, they provide Buckets and Engines: After a Pestilence they think of keeping clean their Streets and common Shores: and when a Town has been sack'd by their Enemies, they provide for its Defence, &c. This Kind of After-Wisdom is indeed so common with us, as to occasion the vulgar, tho' very significant Saying, When the Steed is stolen, you shut the Stable Door. But the more insensible we generally are of publick Danger, and indifferent when warn'd of it, so much the more freely, openly, and earnestly, ought such as apprehend it, to speak their Sentiments; that if possible, those who seem to sleep, may be awaken'd, to think of some Means of Avoiding or Preventing the Mischief before it be too late. Believing therefore that 'tis my Duty, I shall honestly speak my Mind in the following Paper. War, at this Time, rages over a great Part of the known World; our News-Papers are Weekly filled with fresh Accounts of the Destruction it every where occasions. Pennsylvania, indeed, situate in the Center of the Colonies, has hitherto enjoy'd profound Repose; and tho' our Nation is engag'd in a bloody War, with two great and powerful Kingdoms, yet, defended, in a great Degree, from the French on the one Hand by the Northern Provinces, and from the Spaniards on the other by the Southern, at no small Expence to each, our People have, till lately, slept securely in their Habitations. There is no British Colony excepting this, but has made some Kind of Provision for its Defence; many of them have therefore never been attempted by an Enemy; and others that were attack'd, have generally defended themselves with Success. The Length and Difficulty of our Bay and River has been thought so effectual a Security to us, that hitherto no Means have been entered into that might discourage an Attempt upon us, or prevent its succeeding. But whatever Security this might have been while both Country and City were poor, and the Advantage to be expected scarce worth the Hazard of an Attempt, it is now doubted whether we can any longer safely depend upon it. Our Wealth, of late Years much encreas'd, is one strong Temptation, our defenceless State another, to induce an Enemy to attack us; while the Acquaintance they have lately gained with our Bay and River, by Means of the Prisoners and Flags of Truce they have had among us; by Spies which they almost every where maintain, and perhaps from Traitors among ourselves; with the Facility of getting Pilots to conduct them; and the known Absence of Ships of War, during the greatest Part of the Year, from both Virginia and New-York, ever since the War began, render the Appearance of Success to the Enemy far more promising, and therefore highly encrease our Danger. That our Enemies may have Spies abroad, and some even in these Colonies, will not be made much doubt of, when 'tis considered, that such has been the Practice of all Nations in all Ages, whenever they were engaged, or intended to engage in War. Of this we have an early Example in the Book of Judges (too too [sic] pertinent to our Case, and therefore I must beg leave a little to enlarge upon it) where we are told, Chap. xviii, v. 2, That the Children of Dan sent of their Family five Men from their Coasts to spie out the Land, and search it, saying, Go, search the Land. These Danites it seems were at this Time not very orthodox in their Religion, and their Spies met with a certain idolatrous Priest of their own Persuasion, v. 3, and they said to him, Who brought thee hither! what makest thou in this Place? and what hast thou here? [would to God no such Priests were to be found, among us.] And they said unto him, verse 5, Ask Counsel of God, that we may know whether our Way which we go shall be prosperous? And the Priest said unto them, Go in Peace; before the Lord is your Way wherein you go. [Are there no Priests among us, think you, that might, in the like Case, give an Enemy as good Encouragement? 'Tis well known, that we have Numbers of the same Religion with those who of late encouraged the French to invade our Mother-Country.] And they came, Verse 7, to Laish, and saw the People that were therein, how they dwelt careless, after the Manner of the Zidonians, quiet and secure. They thought themselves secure, no doubt; and as they never had been disturbed, vainly imagined they never should. 'Tis not unlikely that some might see the Danger they were exposed to by living in that careless Manner, but that if these publickly expressed their Apprehensions, the rest reproached them as timorous Persons, wanting Courage or Confidence in their Gods, who (they might say) had hitherto protected them. But the Spies, Verse 8, returned, and said to their Countrymen, Verse 9, Arise that we may go up against them; for we have seen the Land, and behold it is very good! And are ye still? Be not slothful to go. Verse 10, When ye go, ye shall come unto a People secure; [that is, a People that apprehend no Danger, and therefore have made no Provision against it; great Encouragement this!] and to a large Land, and a Place where there is no Want of any Thing. What could they desire more? Accordingly we find, in the following Verses, that Six hundred Men only, appointed with Weapons of War, undertook the Conquest of this large Land; knowing that 600 Men, armed and disciplined, would be an Over-match perhaps for 60,000, unarmed, undisciplined, and off their Guard. And when they went against it, the idolatrous Priest, Verse 17, with his graven Image, and his Ephod, and his Teraphim, and his molten Image, [Plenty of superstitious Trinkets] joined with them, and, no doubt, gave them all the Intelligence and Assistance in his Power; his Heart, as the Text assures us, being glad, perhaps for Reasons more than one. And now, what was the Fate of poor Laish! The 600 Men being arrived, found, as the Spies had reported, a People quiet and secure, Verse 20, 21. And they smote them with the Edge of the Sword, and burnt the City with Fire; and there was no Deliverer, because it was far from Zidon. Not so far from Zidon, however, as Pennsylvania is from Britain; and yet we are, if possible, more careless than the People of Laish! As the Scriptures are given for our Reproof, Instruction and Warning, may we make a due Use of this Example, before it be too late! And is our Country, any more than our City, altogether free from Danger? Perhaps not. We have, 'tis true, had a long Peace with the Indians: But it is a long Peace indeed, as well as a long Lane, that has no Ending. The French know the Power and Importance of the Six Nations, and spare no Artifice, Pains or Expence, to gain them to their Interest. By their Priests they have converted many to their Religion, and these have openly espoused their Cause. The rest appear irresolute which Part to take; no Persuasions, tho' enforced with costly Presents, having yet been able to engage them generally on our Side, tho' we had numerous Forces on their Borders, ready to second and support them. What then may be expected, now those Forces are, by Orders from the Crown, to be disbanded; when our boasted Expedition is laid aside, thro' want (as it may appear to them) either of Strength or Courage; when they see that the French, and their Indians, boldly, and with Impunity, ravage the Frontiers of New York, and scalp the Inhabitants; when those few Indians that engaged with us against the French, are left exposed to their Resentment: When they consider these Things, is there no Danger that, thro' Disgust at our Usage, joined with Fear of the French Power, and greater Confidence in their Promises and Protection than in ours, they may be wholly gained over by our Enemies, and join in the War against us? If such should be the Case, which God forbid, how soon may the Mischief spread to our Frontier Counties? And what may we expect to be the Consequence, but deserting of Plantations, Ruin, Bloodshed and Confusion! Perhaps some in the City, Towns and Plantations near the River, may say to themselves, An Indian War on the Frontiers will not affect us; the Enemy will never come near our Habitations; let those concern'd take Care of themselves. And others who live in the Country, when they are told of the Danger the City is in from Attempts by Sea, may say, What is that to us? The Enemy will be satisfied with the Plunder of the Town, and never think it worth his while to visit our Plantations: Let the Town take care of itself. These are not mere Suppositions, for I have heard some talk in this strange Manner. But are these the Sentiments of true Pennsylvanians, of Fellow-Countrymen, or even of Men that have common Sense or Goodness? Is not the whole Province one Body, united by living under the same Laws, and enjoying the same Priviledges? Are not the People of City and Country connected as Relations both by Blood and Marriage, and in Friendships equally dear? Are they not likewise united in Interest, and mutually useful and necessary to each other? When the Feet are wounded, shall the Head say, It is not me; I will not trouble myself to contrive Relief? Or if the Head is in Danger, shall the Hands say, We are not affected, and therefore will lend no Assistance! No. For so would the Body be easily destroyed: But when all Parts join their Endeavours for its Security, it is often preserved. And such should be the Union between the Country and the Town; and such their mutual Endeavours for the Safety of the Whole. When New England, a distant Colony, involv'd itself in a grievous Debt to reduce Cape-Breton, we freely gave Four Thousand Pounds for their Relief. And at another Time, remembering that Great Britain, still more distant, groan'd under heavy Taxes in Supporting the War, we threw in our Mite to their Assistance, by a free Gift of Three Thousand Pounds: And shall Country and Town join in helping Strangers (as those comparatively are) and yet refuse to assist each other? But whatever different Opinions we have of our Security in other Respects, our Trade, all seem to agree, is in Danger of being ruinÃ¢â‚¬â„¢d in another Year. The great Success of our Enemies, in two different Cruizes this last Summer in our Bay, must give them he greatest Encouragement to repeat more frequently their Visits, the Profit being almost certain, and the Risque next to nothing. Will not the first Effect of this be, an Enhauncing of the Price of all foreign Goods to the Tradesman and Farmer, who use or consume them? For the Rate of Insurance will increase in Proportion to the Hazard of Importing them; and in the same Proportion will the Price of those Goods increase. If the Price of the Tradesman's Work and the Farmer's Produce would encrease equally with the Price of foreign Commodities, the Damage would not be so great: But the direct contrary must happen. For the same Hazard, or Rate of Insurance, that raises the Price of what is imported, must be deducted out of, and lower the Price of what is exported. Without this Addition and Deduction, as long as the Enemy cruize at our Capes, and take those Vessels that attempt to go out, as well as those that endeavour to come in, none can afford to trade, and Business must be soon at a Stand. And will not the Consequences be, A discouraging of many of the Vessels that us'd to come from other Places to purchase our Produce, and thereby a Turning of the Trade to Ports that can be entered with less Danger, and capable of furnishing them with the same Commodities, as New-York, &c? A Lessening of Business to every Shopkeeper, together with Multitudes of bad Debts; the high Rate of Goods discouraging the Buyers, and the low Rates of their Labour and Produce rendering them unable to pay for what they had bought: Loss of Employment to the Tradesman, and bad Pay for what little he does: And lastly, Loss of many Inhabitants, who will retire to other Provinces not subject to the like Inconveniencies; whence a Lowering of the Value of Lands, Lots, and Houses. The Enemy, no doubt, have been told, That the People of Pennsylvania are Quakers, and against all Defence, from a Principle of Conscience; this, tho' true of a Part, and that a small Part only of the Inhabitants, is commonly said of the Whole; and what may make it look probable to Strangers, is, that in Fact, nothing is done by any Part of the People towards their Defence. But to refuse Defending one's self or one's Country, is so unusual a Thing among Mankind, that possibly they may not believe it, till by Experience they find, they can come higher and higher up our River, seize our Vessels, land and plunder our Plantations and Villages, and retire with their Booty unmolested. Will not this confirm the Report, and give them the greatest Encouragement to strike one bold Stroke for the City, and for the whole Plunder of the River? It is said by some, that the Expence of a Vessel to guard our Trade, would be very heavy, greater than perhaps all the Enemy can be supposed to take from us at Sea would amount to; and that it would be cheaper for the Government to open an Insurance-Office, and pay all Losses. But is this right Reasoning? I think not: For what the Enemy takes is clear Loss to us, and Gain to him; encreasing his Riches and Strength as much as it diminishes ours, so making the Difference double; whereas the Money paid our own Tradesmen for Building and Fitting out a Vessel of Defence, remains in the Country, and circulates among us; what is paid to the Officers and Seamen that navigate her, is also spent ashore, and soon gets into other Hands; the Farmer receives the Money for her Provisions; and on the whole, nothing is clearly lost to the Country but her Wear and Tear, or so much as she sells for at the End of the War less than her first Cost. This Loss, and a trifling one it is, is all the Inconvenience: But how many and how great are the Conveniencies and Advantages! And should the Enemy, thro' our Supineness and Neglect to provide for the Defence both of our Trade and Country, be encouraged to attempt this City, and after plundering us of our Goods, either burn it, or put it to Ransom; how great would that Loss be! Besides the Confusion, Terror, and Distress, so many Hundreds of Families would be involv'd in! The Thought of this latter Circumstance so much affects me, that I cannot forbear expatiating somewhat more upon it. You have, my dear Countrymen, and Fellow Citizens, Riches to tempt a considerable Force to unite and attack you, but are under no Ties or Engagements to unite for your Defence. Hence, on the first Alarm, Terror will spread over All; and as no Man can with Certainty depend that another will stand by him, beyond Doubt very many will seek Safety by a speedy Flight. Those that are reputed rich, will flee, thro' Fear of Torture, to make them produce more than they are able. The Man that has a Wife and Children, will find them hanging on his Neck, beseeching him with Tears to quit the City, and save his Life, to guide and protect them in that Time of general Desolation and Ruin. All will run into Confusion, amidst Cries and Lamentations, and the Hurry and Disorder of Departers, carrying away their Effects. The Few that remain will be unable to resist. Sacking the City will be the first, and Burning it, in all Probability, the last Act of the Enemy. This, I believe, will be the Case, if you have timely Notice. But what must be your Condition, if suddenly surprized, without previous Alarm, perhaps in the Night! 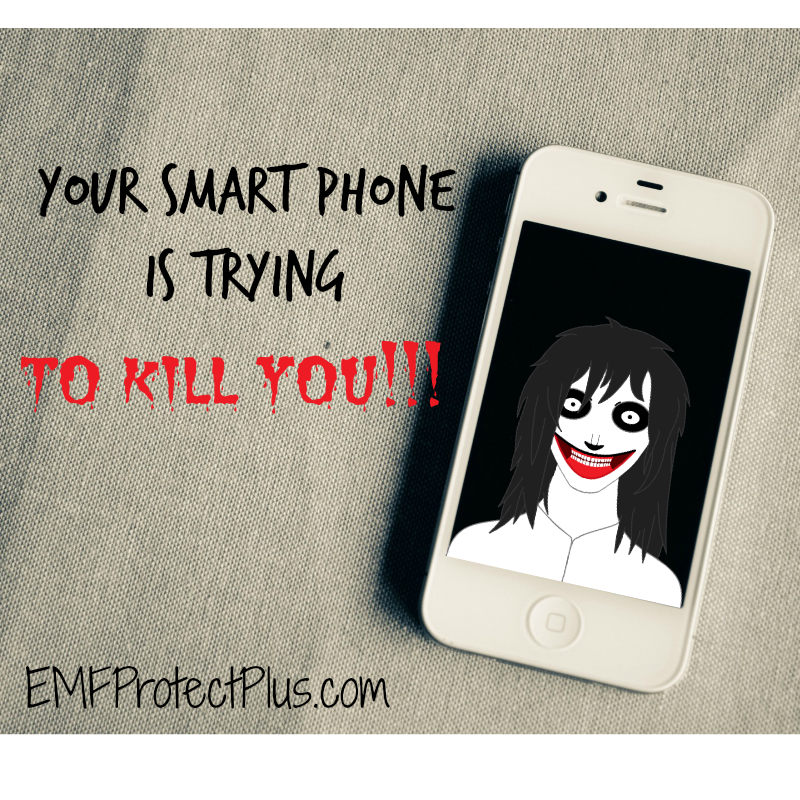 Confined to your Houses, you will have nothing to trust to but the Enemy's Mercy. Your best Fortune will be, to fall under the Power of Commanders of King's Ships, able to controul the Mariners; and not into the Hands of licentious Privateers. Who can, without the utmost Horror, conceive the Miseries of the Latter! when your Persons, Fortunes, Wives and Daughters, shall be subject to the wanton and unbridled Rage, Rapine and Lust, of Negroes, Molattoes, and others, the vilest and most abandoned of Mankind. A dreadful Scene! which some may represent as exaggerated. I think it my Duty to warn you: Judge for yourselves. 'Tis true, with very little Notice, the Rich may shift for themselves. The Means of speedy Flight are ready in their Hands; and with some previous Care to lodge Money and Effects in distant and secure Places, tho' they should lose much, yet enough may be left them, and to spare. But most unhappily circumstanced indeed are we, the middling People, the Tradesmen, Shopkeepers, and Farmers of this Province and City! We cannot all fly with our Families; and if we could, how shall we subsist? No; we and they, and what little we have gained by hard Labour and Industry, must bear the Brunt: The Weight of Contributions, extorted by the Enemy (as it is of Taxes among ourselves) must be surely borne by us. Nor can it be avoided as we stand at present; for tho' we are numerous, we are quite defenceless, having neither Forts, Arms, Union, nor Discipline. And tho' it were true, that our Trade might be protected at no great Expence, and our Country and our City easily defended, if proper Measures were but taken; yet who shall take these Measures? Who shall pay that Expence? On whom may we fix our Eyes with the least Expectation that they will do any one Thing for our Security? Should we address that wealthy and powerful Body of People, who have ever since the War governed our Elections, and filled almost every Seat in our Assembly; should we intreat them to consider, if not as Friends, at least as Legislators, that Protection is as truly due from the Government to the People, as Obedience from the People to the Government; and that if on account of their religious Scruples, they themselves could do no Act for our Defence, yet they might retire, relinquish their Power for a Season, quit the Helm to freer Hands during the present Tempest, to Hands chosen by their own Interest too, whose Prudence and Moderation, with regard to them, they might safely confide in; secure, from their own native Strength, of resuming again their present Stations, whenever it shall please them: Should we remind them, that the Publick Money, raised from All, belongs to All; that since they have, for their own Ease, and to secure themselves in the quiet Enjoyment of their Religious Principles (and may they long enjoy them) expended such large Sums to oppose Petitions, and engage favourable Representations of their Conduct, if they themselves could by no Means be free to appropriate any Part of the Publick Money for our Defence; yet it would be no more than Justice to spare us a reasonable Sum for that Purpose, which they might easily give to the King's Use as heretofore, leaving all the Appropriation to others, who would faithfully apply it as we desired: Should we tell them, that tho' the Treasury be at present empty, it may soon be filled by the outstanding Publick Debts collected; or at least Credit might be had for such a Sum, on a single Vote of the Assembly: That tho' they themselves may be resigned and easy under this naked, defenceless State of the Country, it is far otherwise with a very great Part of the People; with us, who can have no Confidence that God will protect those that neglect the Use of rational Means for their Security; nor have any Reason to hope, that our Losses, if we should suffer any, may be made up by Collections in our Favour at Home? Should we conjure them by all the Ties of Neighbourhood, Friendship, Justice and Humanity, to consider these Things; and what Distraction, Misery and Confusion, what Desolation and Distress, may possibly be the Effect of their unseasonable Predominancy and Perseverance; yet all would be in vain: For they have already been by great Numbers of the People petitioned in vain. Our late Governor did for Years sollicit, request, and even threaten them in vain. The Council have since twice remonstrated to them in vain. Their religious Prepossessions are unchangeable, their Obstinacy invincible. Is there then the least Hope remaining, that from that Quarter any Thing should arise for our Security? And is our Prospect better, if we turn our Eyes to the Strength of the opposite Party, those Great and rich Men, Merchants and others, who are ever railing at Quakers for doing what their Principles seem to require, and what in Charity we ought to believe they think their Duty, but take no one Step themselves for the Publick Safety? 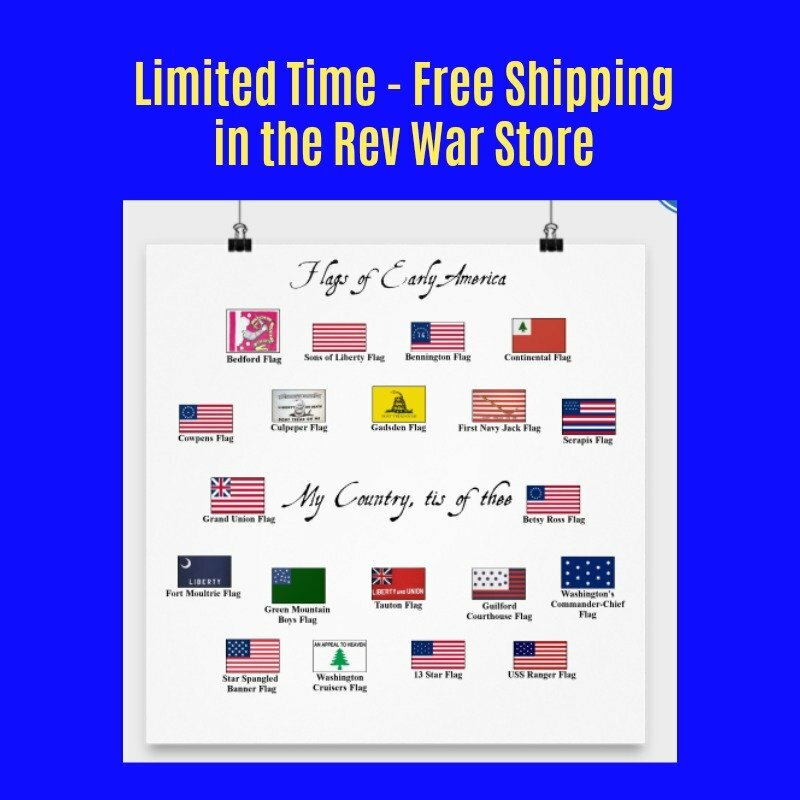 They have so much Wealth and Influence, if they would use it, that they might easily, by their Endeavours and Example, raise a military Spirit among us, make us fond, studious of, and expert in Martial Discipline, and effect every Thing that is necessary, under God, for our Protection. But Envy seems to have taken Possession of their Hearts, and to have eaten out and destroyed every generous, noble, Publick-spirited Sentiment. Rage at the Disappointment of their little Schemes for Power, gnaws their Souls, and fills them with such cordial Hatred to their Opponents, that every Proposal, by the Execution of which those may receive Benefit as well as themselves, is rejected with Indignation. What, say they, shall we lay out our Money to protect the Trade of Quakers? Shall we fight to defend Quakers? No; Let the Trade perish, and the City burn; let what will happen, we shall never lift a Finger to prevent it. Yet the Quakers have conscience to plead for their Resolution not to fight, which these Gentlemen have not: Conscience with you, Gentlemen, is on the other Side of the Question: Conscience enjoins it as a Duty on you (and indeed I think it such on every Man) to defend your Country, your Friends, your Aged Parents, your Wives, and helpless Children: And yet you resolve not to perform this Duty, but act contrary to your own Consciences, because the Quakers act according to theirs. 'Till of late I could scarce believe the Story of him who refused to pump in a sinking Ship, because one on board, whom he hated, would be saved by it as well as himself. But such, it seems, is the Unhappiness of human Nature, that our Passions, when violent, often are too hard for the united Force of Reason, Duty and Religion. Thus unfortunately are we circumstance at this Time, my dear Countrymen and Fellow-Citizens; we, I mean, the middling People, the Farmers, Shopkeepers and Tradesmen of this City and Country. Thro' the Dissensions of our Leaders, thro' Mistaken Principles of religion, joinable with a Love of Worldly Power, on the one Hand; thro' Pride, Envy and implacable Resentment on the other; our Lives, our Families and little Fortunes, dear to us as any Great Man's can be to him, are to remain continually expose to Destruction, from an enterprizing, cruel, now well-inform'd, and by Success encourag'd Enemy. It seems as if Heaven, justly displead'd at our growing Wickedness, and determin'd to punish this once favour'd Land, had suffered our Chiefs to engage in these foolish and mischievous Contentions, for little Posts and paltry Distinctions, that our Hands might be bound up, our Understandings darkned and misled, and every Means of our Security neglected. It seems as if our greatest Men, our Cives nobilissimi of both Parties, had sworn the Ruin of the Country, and invited the French, our most inveterate Enemy, to destroy it. Where then shall we seek for Succour and Protection? The Government we are immediately under denies it to us; and if the Enemy comes, we are far from Zidon, and there is no Deliverer near. Our Case indeed is dangerously bad; but perhaps there is yet a Remedy, if we have but the Prudence and the Spirit to apply it. If this now flourishing City, and greatly improving Colony, is destroy'd and ruin'd, it will not be for want of Numbers of Inhabitants able to bear Arms in its Defence. 'Tis computed that we have at least (exclusive of the Quakers) 60,000 Fighting Men, acquainted with Fire-Arms, many of them Hunters and Marksmen, hardy and bold. All we want is Order, Discipline, and a few Cannon. At present we are like the separate Filaments of Flax before the Thread is form'd, without Strength because without Connection; but Union would make us strong and even formidable: Tho' the Great should neither help nor join us; tho' they should even oppose our Uniting from some mean Views of their own, yet, if we resolve upon it, and it please God to inspire us with the necessary Prudence and Vigour, it may be effected. Great Numbers of our People are of British Race, and tho' the fierce fighting Animals of those happy Islands, are said to abate their native Fire and Intrepidity, when removed to a Foreign Clime, yet with the People 'tis not so; Our Neighbours of New-England afford the World a convincing Proof, that Britons, tho' a Hundred Years transplanted, and to the remotest Part of the Earth, may yet retain, even to the third and fourth Descent, that Zeal for the Publick Good, that military Prowess, and that undaunted Spirit, which has in every Age distinguished their Nation. What Numbers have we likewise of those brave People, whose Fathers in the last Age made so glorious a Stand for our Religion and Liberties, when invaded by a powerful French Army, join'd by Irish Catholicks, under a bigotted Popish King! Let the Memorable Siege of Londonderry, and the signal Actions of the Iniskillingers, by which the Heart of that Prince's Schemes was broken, be perpetual Testimonies of the Courage and Conduct of those noble Warriors! Nor are there wanting amongst us, Thousands of that Warlike Nation, whose Sons have ever since the Time of Caesar maintained the Character he gave their Fathers, of joining the most obstinate Courage to all the other military Virtues. I mean the Brave and steady Germans. Numbers of whom have actually borne Arms in the Service of their respective Princes; and if they fought well for their Tyrants and Oppressors, would they refuse to unite with us in Defence of their newly acquired and most precious Liberty and Property? Were this Union form'd, were we once united, thoroughly arm'd and disciplin'd, was every Thing in our Power done for our Security, as far as human Means and Foresight could provide, we might then, with more Propriety, humbly ask the Assistance of Heaven, and a Blessing on our lawful Endeavours. The very Fame of our Strength and Readiness would be a Means of Discouraging our Enemies; for 'tis a wise and true Saying, that One Sword often keeps another in the Scabbard. The Way to secure Peace is to be prepared for War. They that are on their Guard, and appear ready to receive their Adversaries, are in much less Danger of being attack'd, than the supine, secure and negligent. We have yet a Winter before us, which may afford a good and almost sufficient Opportunity for this, if we seize and improve it with a becoming Vigour. And if the Hints contained in this Paper are so happy as t meet with a suitable Disposition of Mind in his Countrymen and Fellow Citizens, the Writer of it will, in a few Days, lay before them a Form of an Association for the Purposes herein mentioned, together with a practicable Scheme for raising the Money necessary for the Defence of our Trade, City, and Country, without laying a Burthen on any Man. Conjuravere cives nobilissimi Patriam incendere; Gallorum gentem, infestissimam nomini Romano, ad Bellum arcessunt. Cat. in Salust.